The Department of Housing and Urban Development spent over $500,000 on apartments for people who "did not exist," according to the agency's inspector general. 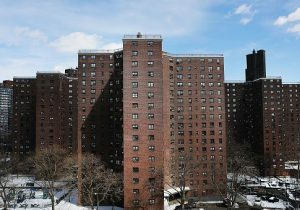 "Beverly Place's owner did not administer its project-based Section 8 program in accordance with HUD regulations," the inspector general said. "Specifically, the owner billed HUD for at least 97 tenants who did not exist or whose income eligibility was either falsified or unsupported." The inspector general noted that "nonexistent tenants" were ghost tenants who either never lived in the apartment building or were past tenants who had moved out. "This condition occurred because the managers defrauded the tenants, HUD, and the apartment owner, and because the owner did not implement sufficient internal controls to detect or prevent the fraud," the inspector general said. "As a result, HUD paid the owner more than $800,000 in subsidies for units that were either vacant or no longer occupied by an approved tenant and for tenants with unconfirmed income," the inspector general added. "The managers no longer work at the complex, and those who were convicted received sentences including time in prison," the inspector general said. "Most of the tenants did not speak or understand English well and were unaware that they were supposed to receive assistance or the amount of assistance to which they were entitled," the inspector general said. "This condition allowed the managers to require them to pay cash for rent, which the managers deposited in personal bank accounts instead of the project account as required."